Blizzard says a virus recently plaguing some World of Warcraft players originated from a "fake" version of the Curse Client. 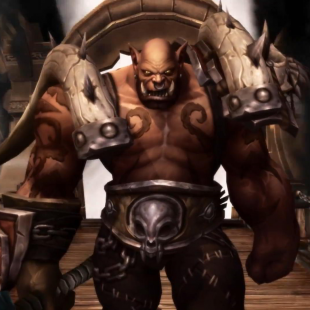 Last week Blizzard posted a warning on its forums urging to World of Warcraft players to keep an eye out for a "dangerous" Trojan virus that was apparently circumventing authenticators and compromising player's accounts. At the time of the announcement, the nature of the virus was still being pieced together, as was an effective method of removing it from infected PCs. In the days since, more has been uncovered about the Trojan, which has now apparently been identified as "a fake (but working) version of the Curse Client." The faux client was apparently being downloaded from "a fake version of the Curse website" that was "popping up in searches for 'curse client' on major search engines." Blizzard had previously recommended "reformatting your system" as an effective means of banishing the virus. Thankfully, the company is now saying that the "the easiest method to remove the Trojan is to delete the fake Curse Client and run scans from an updated Malwarebytes." Even with the virus removed, Blizzard is still recommending that affected players go through a round of precautionary measures to limit the consequences of its invasion. These measures pretty much just entail changing your password and what-not, which you should be doing pretty regularly any ways.